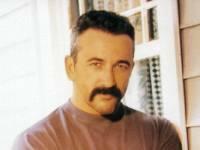 Country star Aaron Tippin is back home, and so are his band and crew, after a scary incident in the Middle East. Tippin entertained troops on a Thanksgiving United Service Organizations (USO) tour. But after his last show, Tippin and his crew were detained in Qatar while trying to leave the country. His spokeswoman said a local customs agent had no record of any of them entering the country, and wasn't happy to let them leave without the proper paperwork. Instead of being sent back to the military base, they were detained in a civilian hotel room for 24 hours. Finally, they were released, and flew home to the United States, arriving two days later than their families expected. Tippin's said of the Middle Eastern mishap, "The further you go, the better the good old U.S.A. gets." Copyright 2002 by The Associated Press. All rights reserved.